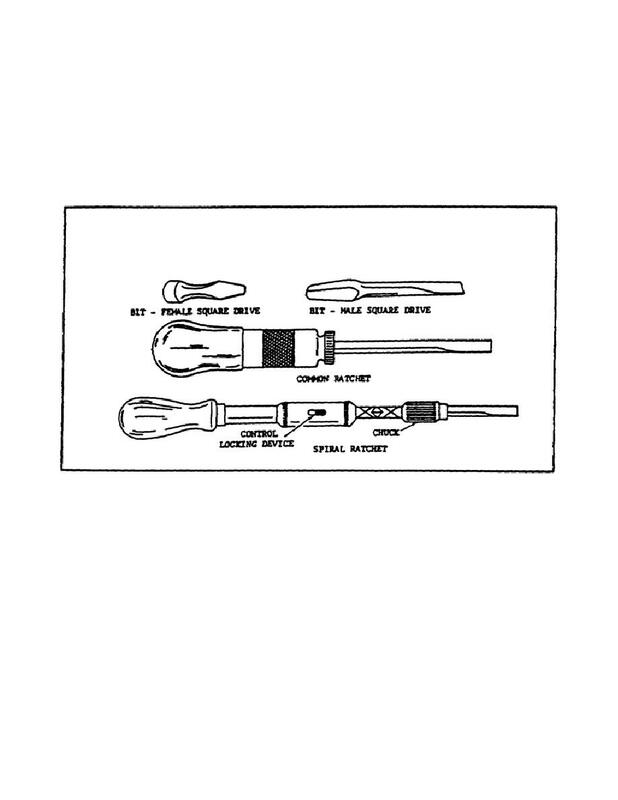 Home > Ordnance Documents and other related manuals > > Jeweler's Screwdrivers. locked to act as a common screwdriver. and left ratchet, and rigid. RATCHET SCREWDRIVERS AND SCREWDRIVER BITS. with a spiral ratchet screwdriver shank for use with spiral ratchets. handles, a swivel end finger rest plate, and some have removable blades.